BT has announced a partnership with the National Film and Television School (NFTS) to encourage people to train as broadcast engineers and production technologists to help combat the current skills deficit in the sector. BT will offer a scholarship to support a student through the Production Technology MA, a two year course which equips successful applicants with the skills required to support all aspects of production technology in live and recorded environments. After completing the masters, graduates will be invited to apply for a job with the company. 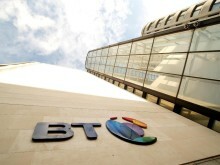 BT is also providing up to six students with work placements in the BT TV team, to be based at the iconic BT Tower in London or the BT Labs in Ipswich. The company recently announced plans to recruit 1,700 apprentices and graduates across the UK, with numerous posts available in the TV team. Greg McCall, managing director of BT TV, said: “We’re looking forward to working with the NFTS and supporting the broadcast industry’s talent pipeline. “As we continue to evolve our growing TV arm and provide our audiences with the highest quality content, we need the most talented broadcast engineers on board to help us do that. Nik Powell, NFTS director, said: “The UK is facing a crisis in broadcast engineering as there is a significant lack of skilled people applying for positions. According to some estimates, 60% of all broadcast engineers are within five years of retirement, and there are not enough new engineers being trained at the moment. Applications for the Production Technology MA are open until September 7th 2017 and the course will commence in January 2018. There is a dedicated open day and free taster workshop for the course on May 18th – sign up here.